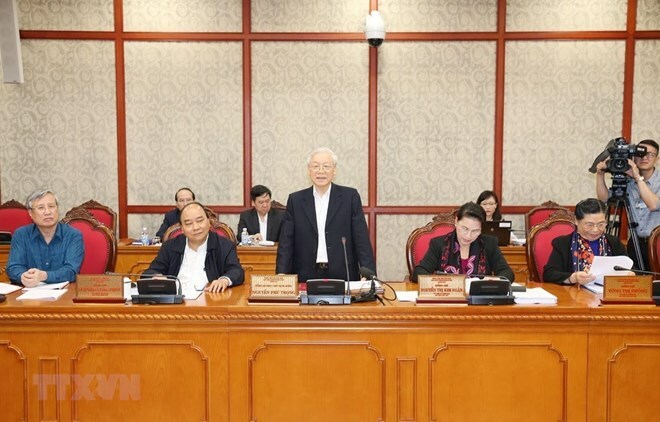 Hanoi (VNA) – Party General Secretary and President Nguyen Phu Trong asked the central province of Nghe An to address all obstacles to become one of the leading localities in Vietnam during a meeting between the Politburo and local officials in Hanoi on March 21. The local economy has grown fast and sustainably since then, he said, noting that the gross regional domestic product (GRDP) was estimated at 115.67 trillion VND in 2018, ranking 10th among the 63 provinces and centrally-run cities. The household poverty rate was reduced to 5.54 percent.